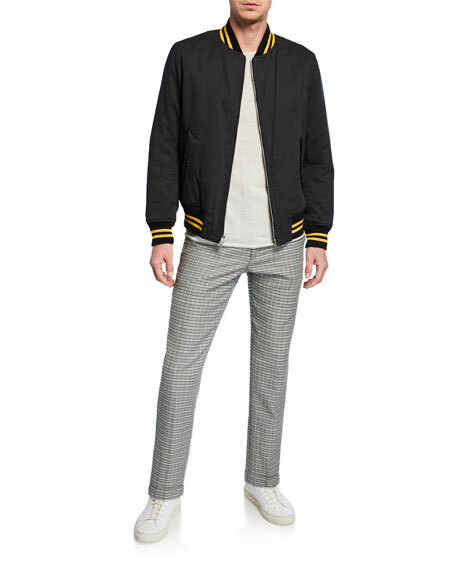 Rag & Bone "Patrick" pants in woolen plaid suiting. Hook/zip fly; grosgrain belt loops. FRAME "L'Homme" chino pants in stretch-twill. Approx. measurements: 11" rise; 33.5" inseam; 14.75" leg opening. Natural rise; belt loops. Five-pocket style. Button/zip fly. Slim fit; tapered legs. Cotton/rayon/polyurethane. Machine wash. Imported. Model's measurements: Height, 6'1"/185cm, waist 31"/79cm, suit 40, shirt 15.5x35, inseam 32"/81cm. 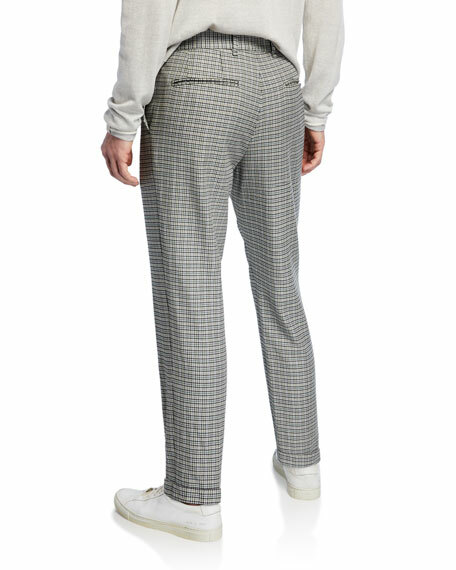 Loro Piana trouser pants in stretch-twill. Side slip pockets; back welt pockets. Rise sits below the natural waist. Straight legs. 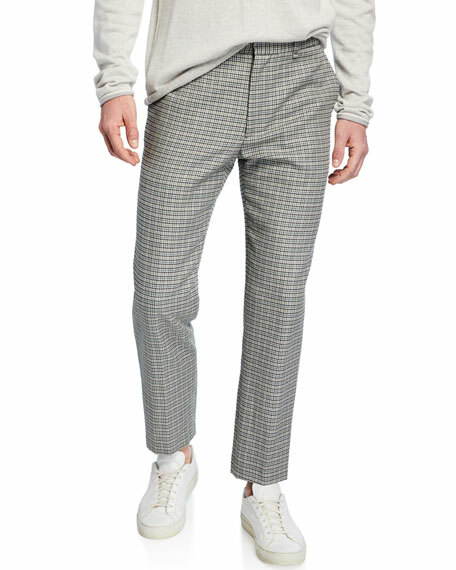 Loro Piana trouser pants in stretch-twill. Side slip pockets; back welt pockets. Rise sits below the natural waist. Straight legs. Tab/zip front; belt loops. Cotton/spandex. Dry clean. Made in Italy. Model's measurements: Height, 6'1"/185cm, Suit 40L, Shirt 14.5 x 34.5, Waist 32"/81cm, Inseam 32"/81cm.